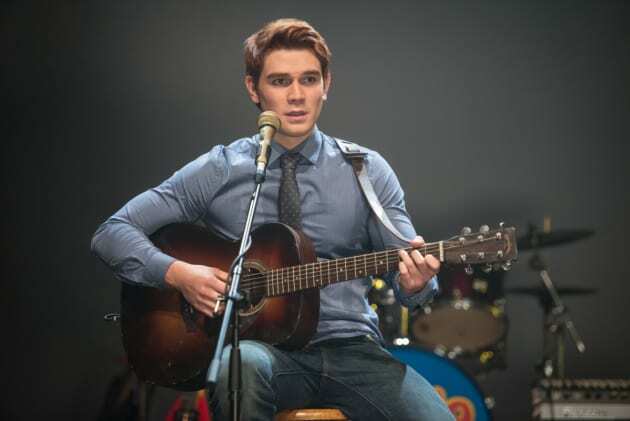 This is the moment Archie has been waiting for: A chance to play his music in front of an audience. Will he wow the crowd or will it be a one note disaster? Riverdale Season 1 Episode 6: "Chapter Six: Faster, Pussycats! Kill! Kill!" Veronica: Not to be "that girl", Archie, but I didn't get the memo we were adding another voice to the mix. Archie: Hey, Ronnie, great news! Valerie quit the Pussycats. Veronica: So that makes me...what then...backup? Archie: No, I mean, you were just doing this as a favor to me, right? Veronica: You're unbelievable, Archie. You literally have zero loyalty. You, Ginger Judas! Permalink: You're unbelievable, Archie. You literally have zero loyalty. You, Ginger Judas!